MDs & Patients! Please choose YOUR Telemedicine platform wisely! 2015 will be a huge year for Telehealth/Telemedicine. In the past, as physicians we have always allowed others implement the systems they want us to use and look were it has taken us. Some might be happy others not so much. Regardless of your emotion we need to choose wisely when we choose the Telemedicine platforms we will be using. As doctors, it is time we come together and make a wise decision on the platforms we will use in the future. The average debt for a resident at this point in time goes from 170 to 250K dollars. I see many platforms asking for these people in debt to give more for free. Why for free? Well it is simple but not the point of this post. I will elaborate in a later post on this. 1) Telemedicine platforms are not here to “help” you as a doctor. Their main goal for them is to make money. If this was not the case then they would not be a business. It is estimated that Telemedicine in 2020 will reach an estimated value of USD 36.3 billion and business men want a piece of it. They all have to say they are here to improve healthcare. Blah blah blah. Let’s detach ourselves and see who is running the companies. 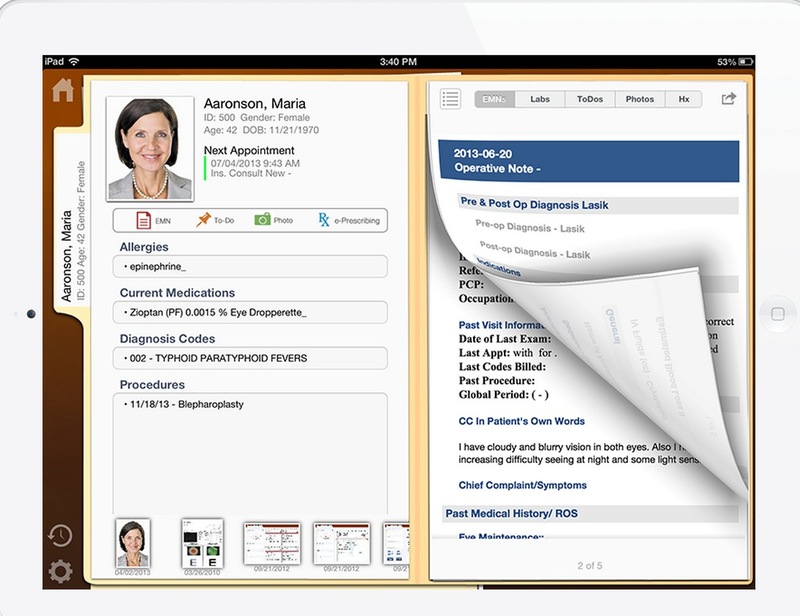 3) The Telemedicine platform is as good as the doctors enrolled. DO NOT ONLY CHOOSE ONE, ENROLL AS MANY AS YOU CAN. DO NOT GIVE THE POWER JUST TO ONE! Whichever platform benefits the patients and the doctors at a given time will be the choice. 4) Physicians are the only professionals that give their advice for free. Yes, we like to help people but we also like to help our families and provide for them. This comes from money. Try creating an application that asks lawyers to give their advice for free and see how hot it goes. 5) Let’s be blunt here. TIME IS MONEY and nobody works for free (almost nobody). Hey I am up for Pro Bono, but getting lured into a system of telemedicine where everyone wants to make money of the doctor. Not so much. 6) The truth is, if we want Telemedicine to be a pleasant useful tool for us as physicians we need to have a strong PRESENCE in how we practice it. THEREFORE, CHOOSE WISELY. If such platform does not exist, lets just start tweaking Skype, or hangouts, to avoid transaction fees. Microsoft, Google are you listening? In general, what is good for the doctor is good for the patient and what is good for the patient is good for the doctor this is because these 2 entities are a team, a partenership (Unless your doctor is a “dbag” then this does not apply and vice versa). We need to stick together to make a change, its time we start doing it. If you have been following the news you likely have heard about how WATSON defeated the two Jeopardy Champions in 2011. More recently, you probably read headlines talking about sending WATSON to medical school and it graduating in a week. More recent headlines have mentioned the concept of Dr. WATSON being in the house. You may be wondering how does beating to Jeopardy champions (crushed is a better term) make a case to use WATSON in healthcare. The key lies in the capacity of W making sense of unstructured data. For those that do not know what unstructured data is: “Structured data refers to information that either does not have a pre-defined data model and/or does not fit well into relational tables. Unstructured information is typically text-heavy, but may contain data such as dates, numbers, and facts as well. This results in irregularities and ambiguities that make it difficult to understand using traditional computer programs as compared to data stored in fielded form in databases or annotated (semantically tagged) in documents”. In other words W read so much that it was able to interpret and understand the english language. Watson understands natural language, not only the meaning. It has the capacity to adapt and learn from particular situations. With the knowledge it has read and digested W generates many hypothesis, not just a single answer and then uses algorithms and lists the possibilities. It could be hundreds it could be 10. Then, it assigns numeric values to the hypothesis and deciders on the best possible option. W usually ended up with top 3 answers but in Jeopardy W needed one answer. For this, IBM added and additional algorithm that helped W decide depending on the strategic position of the game how much he would risk. 1. Devour Huge volumes of text like information 2. 90% of the data created in the last 2 years, 80% unstructured, WATSON knows it already 3. Most physicians can only read at the most 15 hours a month 2 to 3 journals. 4. WATSON can read 4,000 articles, get the most important concepts, and then present the most relevant. In healthcare we are not expecting a single answer. There could be several answers. Multiple chronic diseases and contribute to each others outcome. WATSON WILL NOT BE A DECISION MAKER (at least not for now), it will understand the nature of your question and develop educated diagnosis. Then a doctor can decide which is the best possible answer based on evidence based information. As mentioned, WATSON IS ADAPTIVE, the more it “plays” the more knowledgable he becomes. W teaches itself and keeps getting smarter. W can modify its own algorithms and get rid of those that got him into “trouble” or made a bad call and learn to use the right ones more often. W represents cognitive computing or in other words a thinking computing. 5. The goal is NOT to replace physicians, but to help them achieve the best treatment Another intriguing characteristic that helps WATSON is that he is not human. Not being human removes from the equation self reinforcing perception bias that physicians encounter after facing a particular patient and solving it succesfully. It protects you and the patients of following a path that you believe is right. Social Media for Doctors: 5 Rules to get you rolling! I have been asked a couple of times regarding advice on Social Networks and the feedback has been positive. Therefore I thought making a post would be the next step to share these recs in an easier way. Hope it helps. 2) Use different social media to target different audiences Take advantage of this. Tumblr, Facebook, Twitter, G+, and one of my favorites, Reddit (/r/Science and /r/Futurology are great!). I will stay away from mentioning Doctor designed Social Networks since I rarely use them anymore. 3) Learn how to use #Hashtags in a proper manner, engage with the internet (Priceless advice given to me by (@Lucienengelen). In addition when you choose your twitter handle, I would suggest for you to use your name if you want people to find you quickly and interact with you. If not, then create a nickname that is simple and easy to remember. 4) Follow healthcare Power Twitters and learn from them even if they are not from your specialty. Trust me, you will learn a lot. 5) Never trust Direct Messages in twitter. I don’t care how safe you think they are, always assume this could end up seen by millions. Another tremendous reason why the use of Social Media is important among healthcare providers is that is a tool, that in a way, prepares Physicians, Nurses, PAs, you name it, for Telemedicine. Yes, you heard me. Once your are done with this. Start exploring platforms like Tweetdeck and Hootsuite. This is what a Power Twitter is about. You will feel like you have cloned yourself and you are in multiple places at once! Got questions? You know where to find me! Cheers! Back in 2010-2011 before even going to Singularity University Exponential Medicine, I envisioned a different way of rounding and providing patient care. An environment that would engage medical students, residents, fellows faculty as well as the patient in a platform that empowered all of them to participate and learn. When different teams round in an institution, there are straight cases and then there are more challenging ones. What this platform allowed was for the different teams to share with the institution the cases and create an environment that inspired discussion between individuals. Imagine the facebook or yammer of the hospital. Gamification was incorporated which allowed proper selection of faculty or resident of the month or year. It also empowered the patient to participate in his health inside and outside the hospital. For this reason, I am uploading my sketches, envisioned prototype for anyone to use, modify and create. Have in mind this was created in 2010-2011 and yet, I believe its concept is still pretty innovative for 2014. 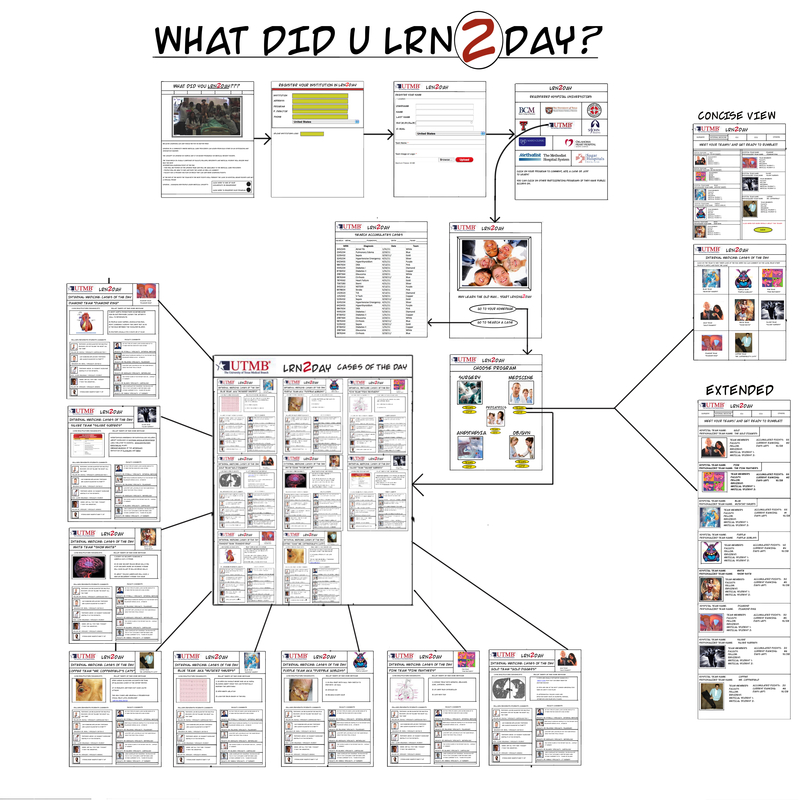 The paltform’s name was LRN2DAY or Caseday. In case you want to explore more about the files I am attaching the dropbox folder with slides and a “demo” of it. If you have keynote, check the slideshow and it will give you a better idea. Feel free to use as you please! I have spoken recently with several doctors that are changing the way they write their notes and thus relevant patient information. Why? Simple, a great thing is happening, patients are beginning to embrace digital health , learning more about their diseases/conditions and accessing, studying and understanding their medical records. Here is the kicker…Sometimes in life we hear others addressing personal issues that even though they are true, they are uncomfortable to hear. Some can easily ignore them, others may feel insulted and/or aggravated. This is extremely important to YOU, yes you who is reading this, since you now have easy access to your Medical records. Medical records are not meant to be a story. They were not made to be easy on our ears. They are scientific data used to capture facts. They are the mixture of years of training, medical knowledge, experience, and a patient-doctor relationship. Why is this important? A chart might say; Mr. X is a delightful, pleasant individual, who exercises daily and is very involved with his health. Fantastic right? Well yes but the opposite is true. Mr. X can also be obese 57 year old individual, with a 20 pack year history who is not compliant with his medications. Mr. X mentions that he has no money for his medications but yet he is able to buy a pack a day of cigarettes. The latter, mentions facts that are not pleasant to hear but may be the truth. I am now encountering physicians, being contacted by their patients, arguing that they do not appreciate being called obese in the note. They do not appreciate hearing that they are not compliant when obviously they are not. Since physicians do not want to aggravate more people then they reword or simply refrain from placing particular information in the chart. Information that other physicians will find valuable because it can change the way they will address the case. I have modified my lifestyle thanks to comments like this. Comments that were not easy to digest but the truth nonetheless.